New categories such as Multimedia, PS3 Loader, TheGrid, Homebrew put aside the typical native application. Photos, Music, Videos, TV disappear to make way for Multimedia. This new category gives rise to a union of native options like photo, music and video. This new category will appear the famous player Showtime, which already includes the possibility of a single application in many more options than what they offered us the categories natively native officers. This new category was born to take charge from now manage the contents of the old sony consoles, this means that both PS1/PS2/Minis Games and the saves become part of this new category, freeing to GAME icon. This new category includes the plugins manager, service packs. Thegra is the name of the loader plugins, these plugins will give the console first choices, which the imagination of every developer could unleash the potential of this charger. This new category includes all homebrew created to date, for it will have access to from where you can download OpenPStore the last hombrew etc. to be placed automatically at their place of origin and not as the previous game. Flashing copies from an external drive (usb). These packs include the basics in order to use plugins, loaders, ftp, etc. JFW DH uses a 341v2 core, this does not mean not being able to play all over now without patching. 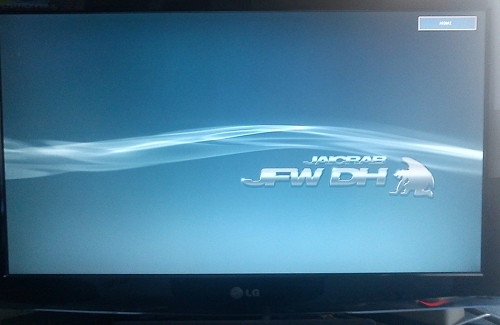 JFW DH runs natively games until 3.56 (original disks) without having to upgrade. 1saludo and patience that good is worth waiting. The preloader can be updated. TheGrid: TheGrid is a new category that includes a plugin manager, service packs, but also the name of the loader plugins. The plugins can launch tasks in the background. JFW The DH is based on the Firmware 3.41 v2 but is fully compatible with games requiring firmware 3.56 and earlier (3.55 patched games included). Game discs that require firmware 3.56 or earlier without having to spend to update the console. The PSN games that require a compatible NPDRM 3.56 without updating. Executables do not need to be signed.